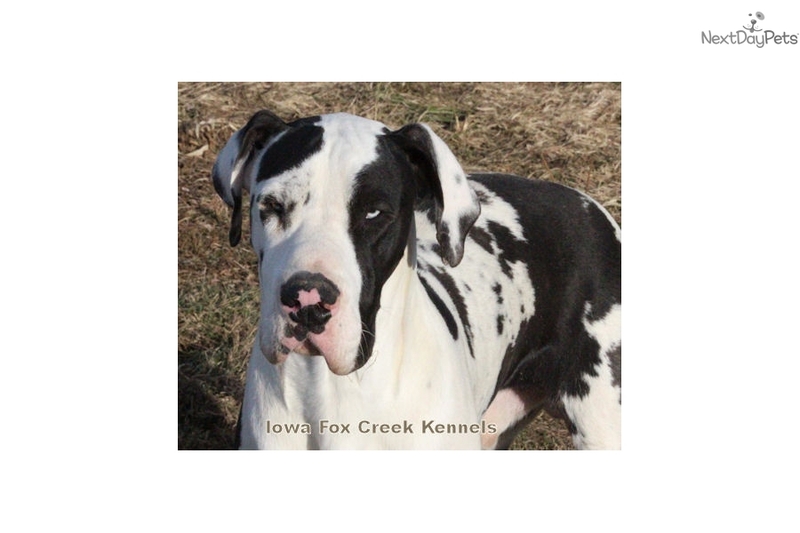 This Great Dane nicknamed Harley sold and went to a new family. 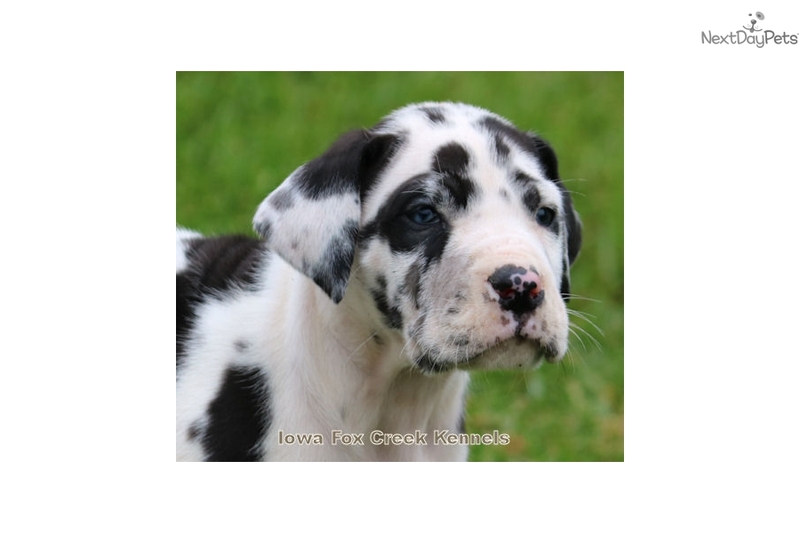 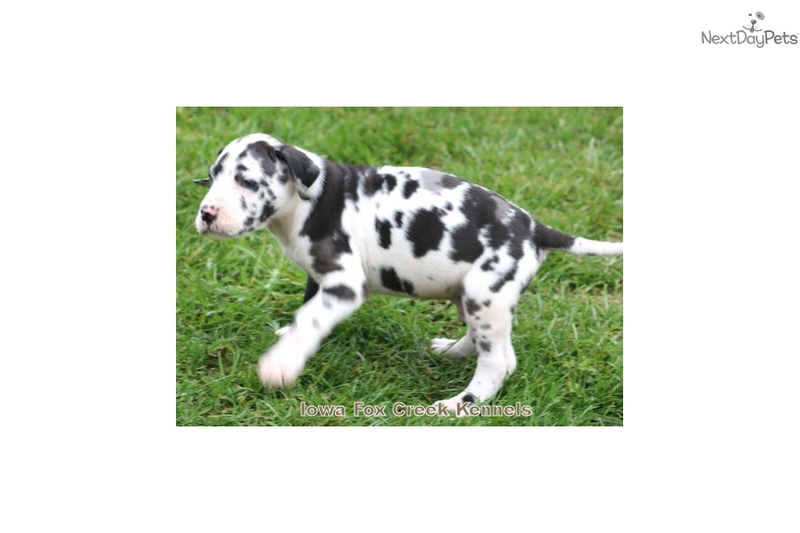 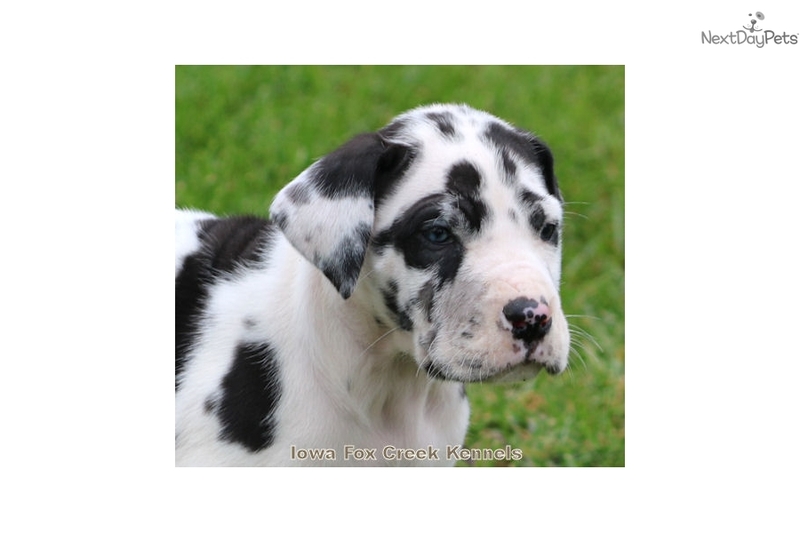 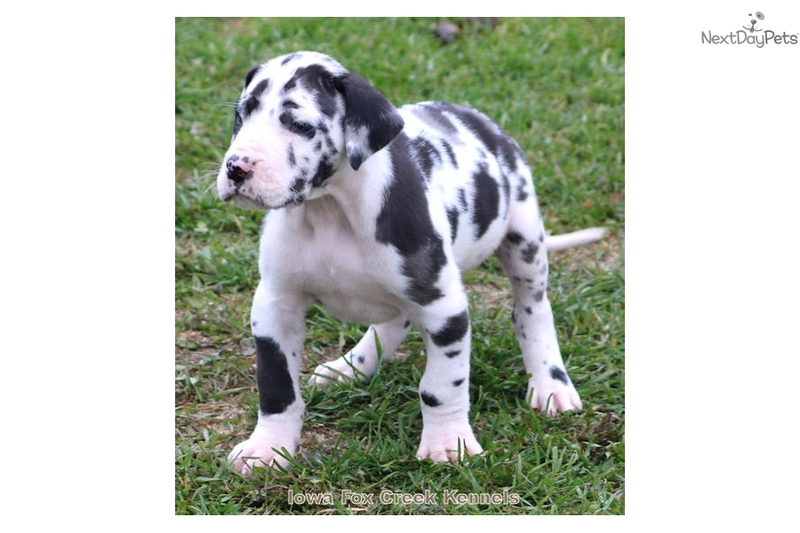 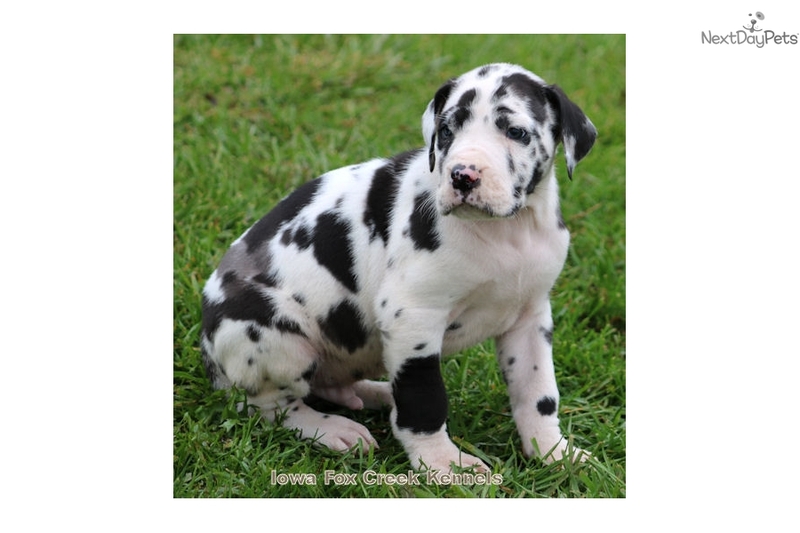 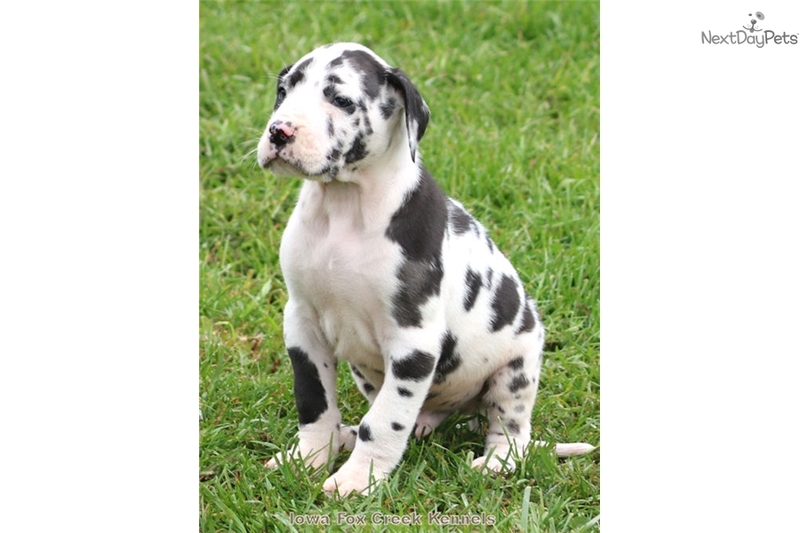 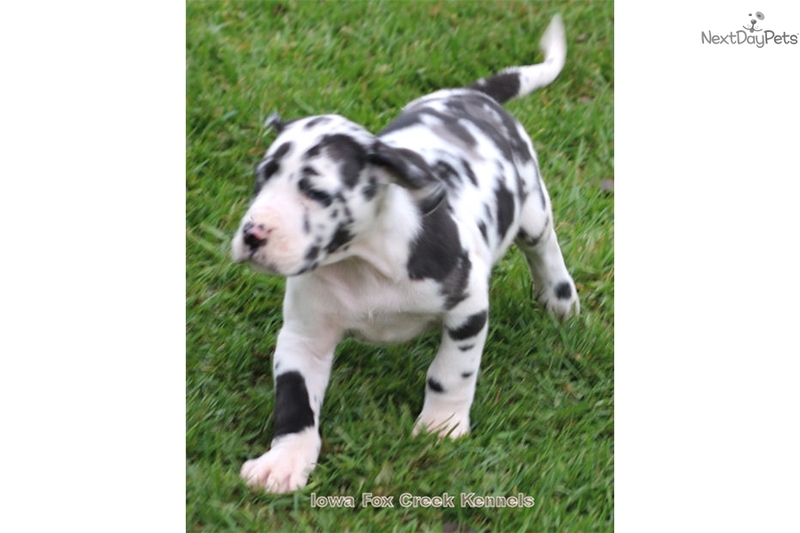 We have an adorable AKC part Euro harlequin Great Dane male that is looking for his forever home. 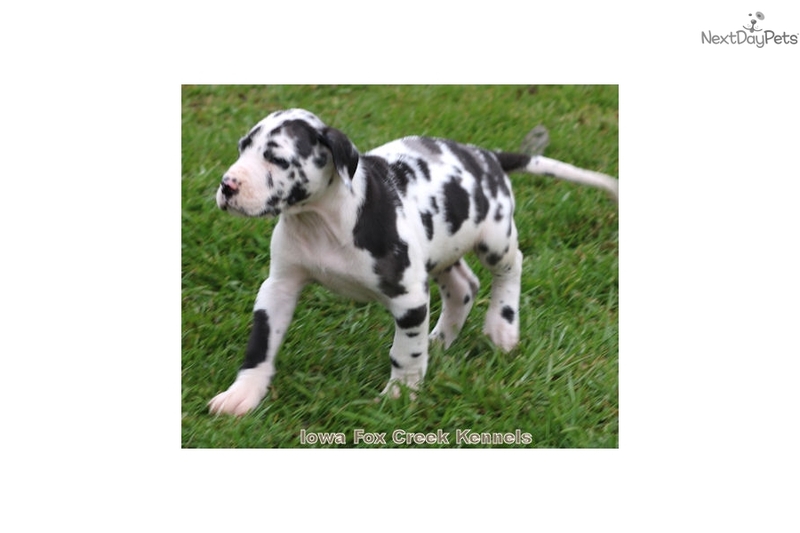 He is from our big harlequin male, Duke and his part-Euro mother, Artemis is a color-pure blue. 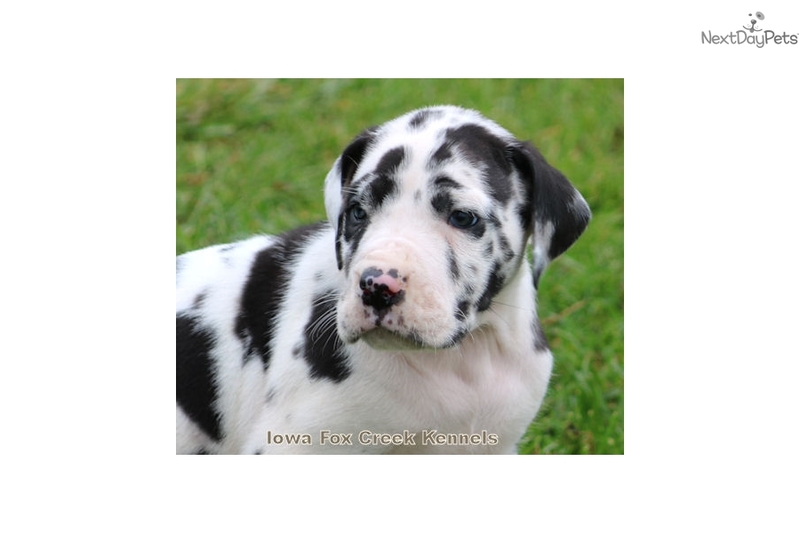 He is farm and family raised and will be huge. 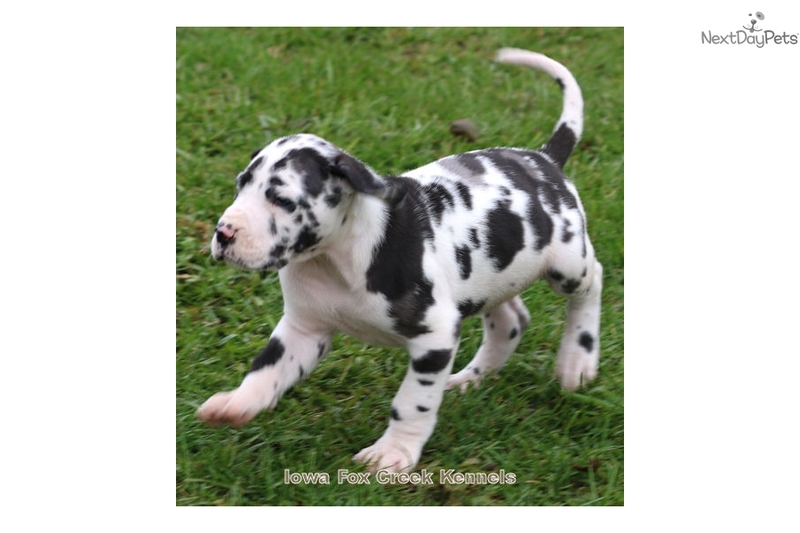 He comes with currents shots and wormings and dew claws removed. 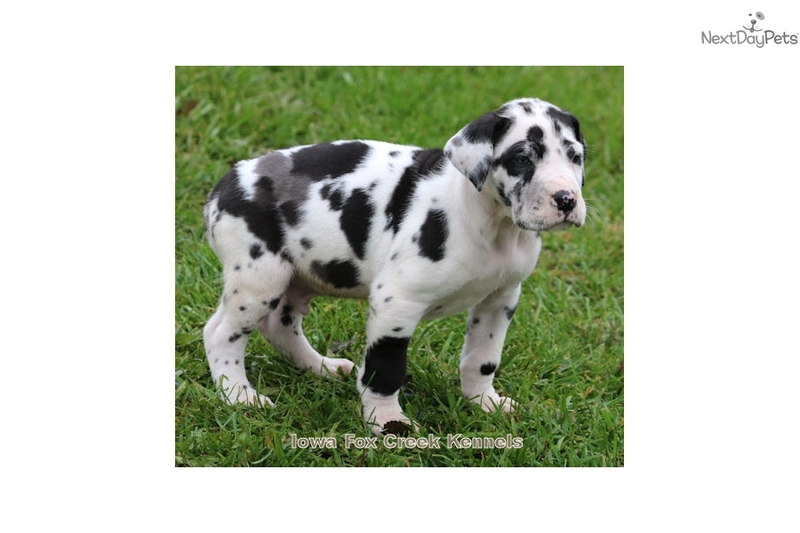 Put your deposit down now! 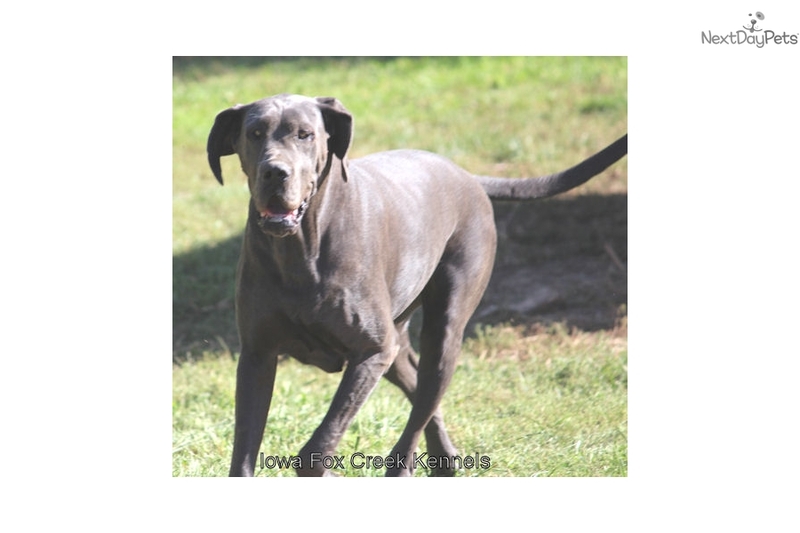 You can call with questions at 641-895-2218.